Elmwood Park Zoo in Norristown is a small gem of a zoo that also hosts weddings! Guests are able to feed the giraffes, ride the carousel, and see the entire zoo before dining and dancing in the Canopy Gardens Hall. 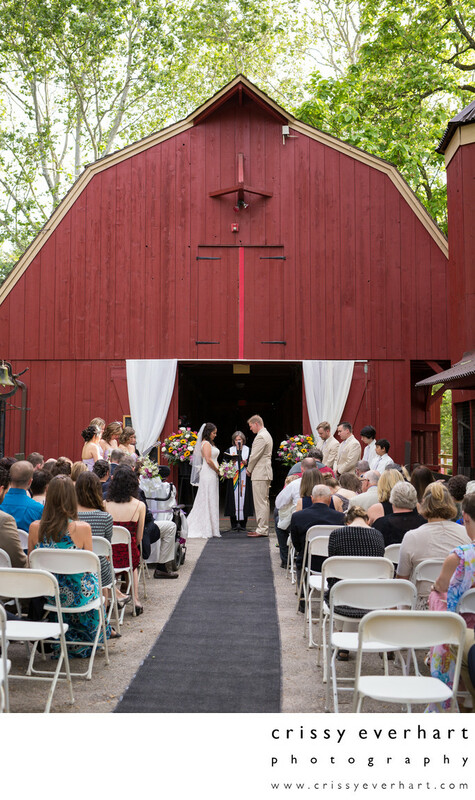 In this photo, the bride, groom, and wedding party stand in front of the red barn as guests witness their vows and ring exchange.